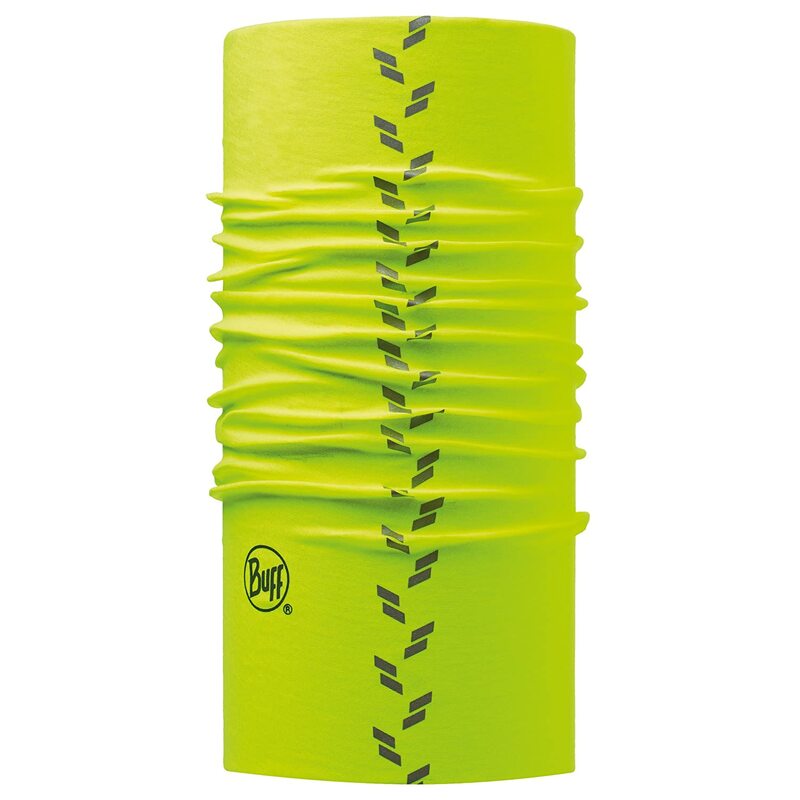 For such a small piece of unassuming material, the neck gaiter and its close relatives pack a practical, versatile punch like no other sporting accessory. The faffy, flappy, impractical old fashioned scarf is about to get it in the neck, literally. Doctor Who, Harry Potter and Frank Spencer can keep their bulky, woolly scarves, these guys are not really outdoor enthusiasts anyway their talents and interests lie elsewhere! Anyway, introducing the neck warmer. What is a neck gaiter and what is it for? The neck gaiter is a piece of kit that can be worn in any season in any weather. Defining a neck gaiter is tricky given their versatile nature. They are much more than simply ‘something you put around your neck’ or ‘a neck tube’. We’ve all heard of walking gaiters but the neck gaiter or neck warmer, is as it sounds is usually a more fleecy ‘snug’ item and the snood, is the same thing though probably even more ‘cosier’ as it has the scarf and hood portmanteau thing going on. More recently, you may have heard the term ‘Buff’, which is actually a neck gaiter brand too, and can come in a range of materials from cotton simple fleece to advanced merino wool technology. 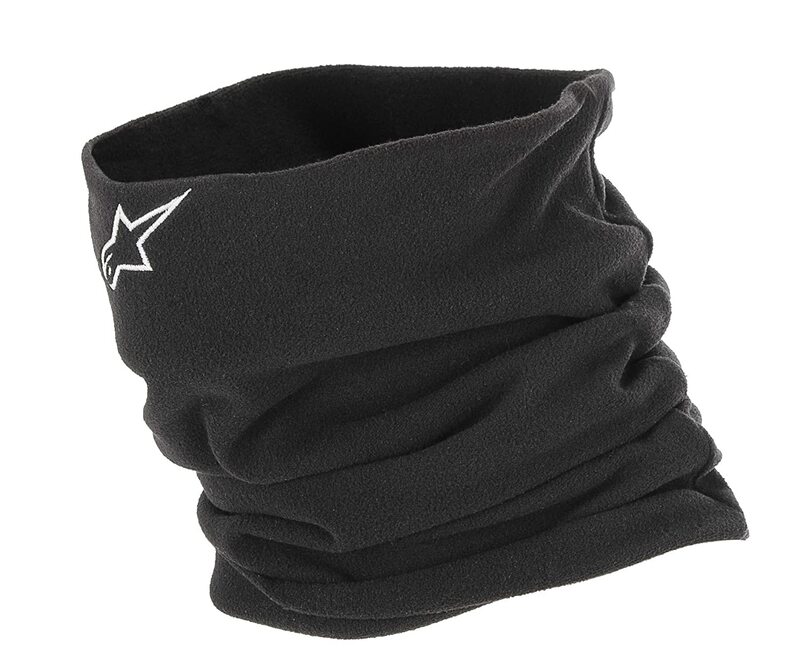 This Merino wool neck gaiter by Buff is double layered so it’s super warm and fills that gap between your woolly hat and your outer layer/jacket. You can buy cheaper neck warmers for less but we reckon this is worth the extra cash. When you read wool, the initial reaction is ‘ooh that’s gonna be itchy’. Well think again. Merino wool is so soft your first reaction will be one of cosiness combined with silkiness. Seriously, you need to try it on to ‘feel’ it, words only go so far! 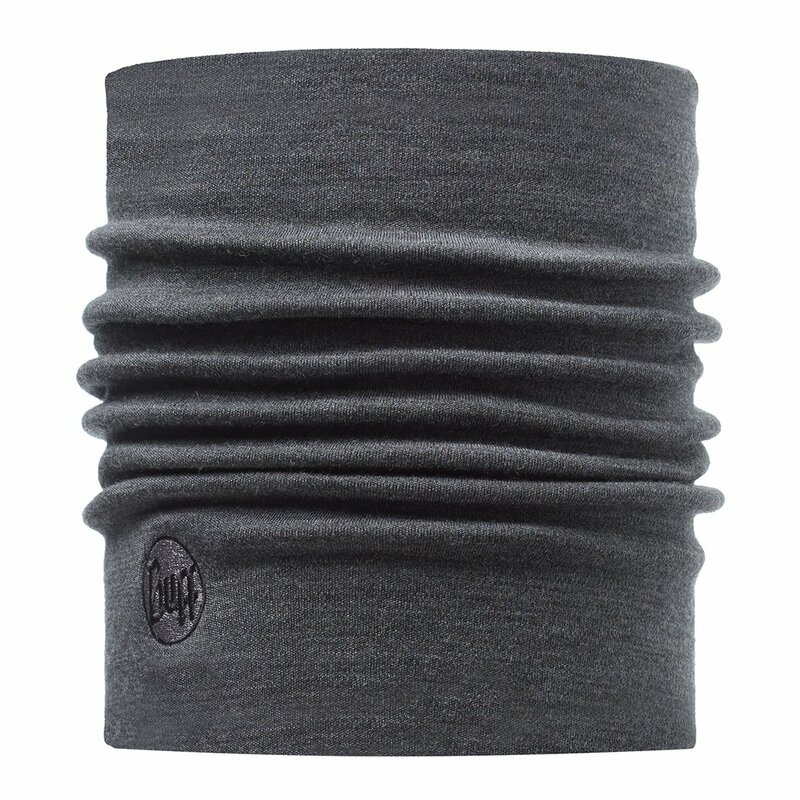 This Merino wool neck gaiter by Buff is double layered so it’s super warm and fills that gap between your woolly hat and your outer layer/jacket. You can buy cheaper neck warmers for less than £10 obviously but we reckon this little beauty is worth the extra cash. It’s made from Merino wool meaning it’s eco-friendly and will withstand plenty of wash cycles (read the label for machine temperature). Breathability is also a big plus factor for Merino wool, these are natural fibres and natural things breathe. This is a great choice if you want to treat yourself – well, treat your neck at least! Fleecy on the inside and made from tough polyacrylic meaning it’s going to last – great quality as expected from a trusted brand. Fleecy on the inside with the world famous Adidas three stripe logo on the outside. 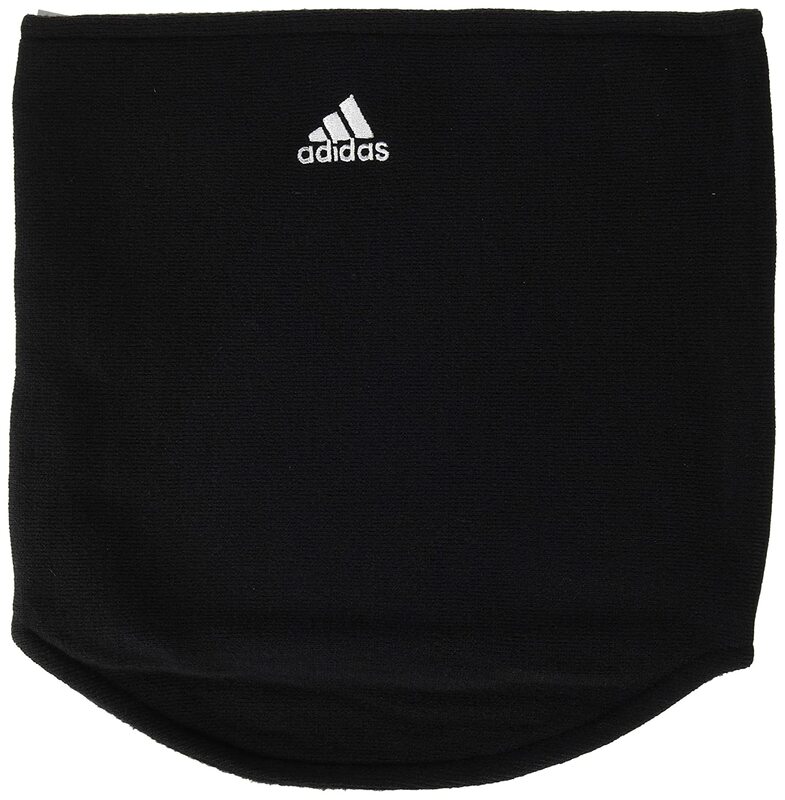 We’ve entitled this neck gaiter perfect for footballers (it may match the kit, if you’re that way inclined) but it’s the tough 100% polyacrylic that should sway this for footballers, it’s made of tough stuff basically. You know what you’re getting from Adidas too, a brand very much associated with quality and longer life of product than cheaper imitations. Stretches very well regardless of size, is well stitched and extremely reasonably priced at around a tenner. For some reason, the Alpinestars brand is favoured by motorcycle and scooter enthusiasts and those guys face quite a headwind as they reach higher speeds. This fleecy neckwarmer is rated highly, some riders buying two or three of this particular product. It does stretch regardless of size and it’s only a tenner for a well stitched, logo enhanced, cold defeating neck warmer. Vroom, vroom. Made from velour fleece on the inside so super warm and comfortable. A little expensive but just about worth it. Ok, ok this is twice the price of many of the neck warmers we’ve shortlisted thus far, but let us explain. 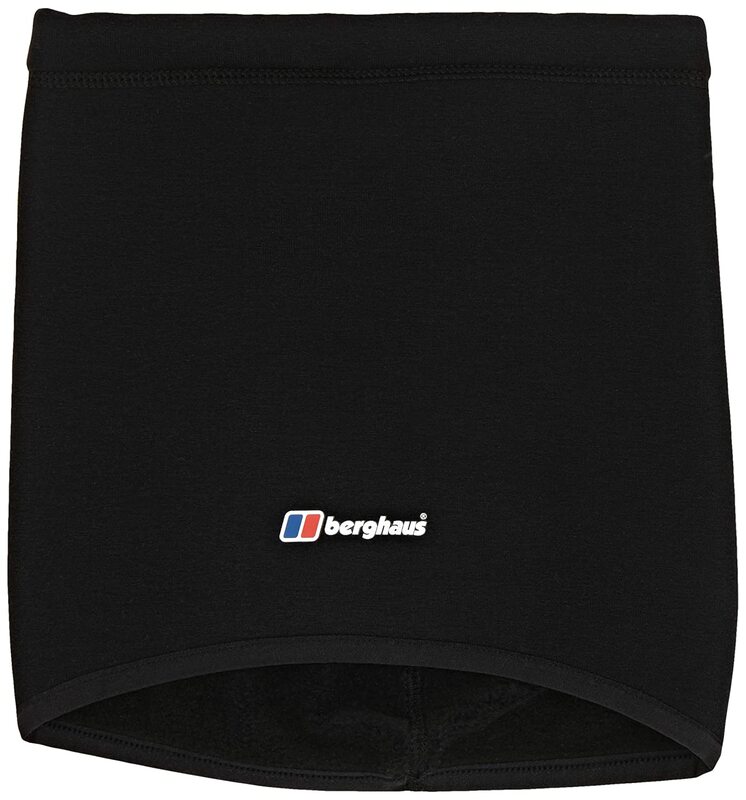 It’s Berghaus, that means quality – though we can’t ignore you may be paying for the logo…a bit. It’s made from velour fleece on the inside of this product which means your neck and throat will be in tactile heaven. It’s manufactured out of their polartec fleecy material so there for uber warm when your cutting through the air. The seams are locked in so no annoying bits catching or rubbing you as you ski, ride and run. It’s also powerstretch and comes with a toggle cord to pull tight when you want to wear on top of your barnet as a hat (it’ll be akin to a tea cosy but needs must on the slopes sometimes – ideally wear a beanie hat as well!). If you’re a regular skier or snowboarder, commuting cyclist or perhaps work in the great outdoors as a gardener, builder or roofer then you can easily justify the price when the benefits of wearing a Berghaus neck gaiter are factored in. Expensive yes, worth it? Yes. Reflective, so ideal for runners, horse riders, and cyclists who need to be seen in lower light conditions. A little thinner than many other neck warmers, but dries quickly and has excellent thermal qualities. Another Buff entry into our shortlist, it must be in the name. Also in the name, our name – the Active Life, we’re intrinsically outdoorsy people and there tends to be a practical element to how we equip ourselves for our various al fresco hobbies. This reflective neck warmer is ideal for horse riders, cyclists and roadside runners as it has a row of reflective strips dotted along the neck gaiter. Not as thick as the previous Buff in this article, this one is made with polygiene (read antibacterial growth!) and, importantly for strenuous activities, is the fact that this neck warmer dries quickly despite having excellent thermal qualities. As it’s a bit thinner its flexible enough to wear as a bandana, beanie or skull cap underneath a cycling helmet.